Two attractions - one place. 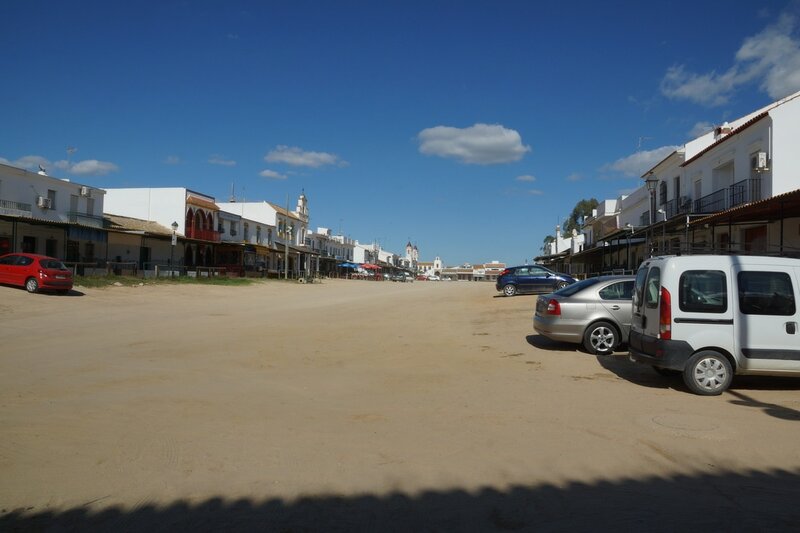 The little of El Rocio is probably unique, most of the year it is quiet, so many empty buildings, so many sandy roads so many hitching rails for tying up your horse. 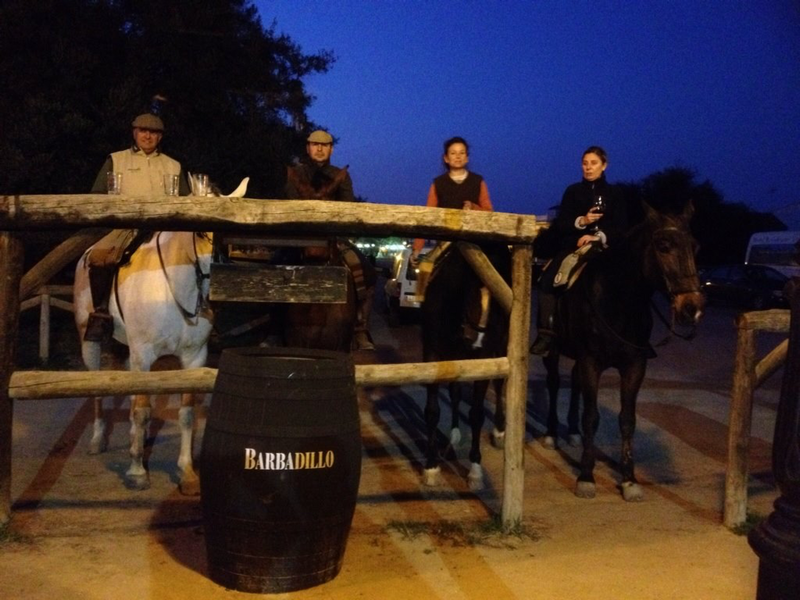 Some bars even have a hitching rail/bar outside so you can order and consume your drink without getting off your horse. It's as if it's a spaghetti western location after the actors and crew have left. 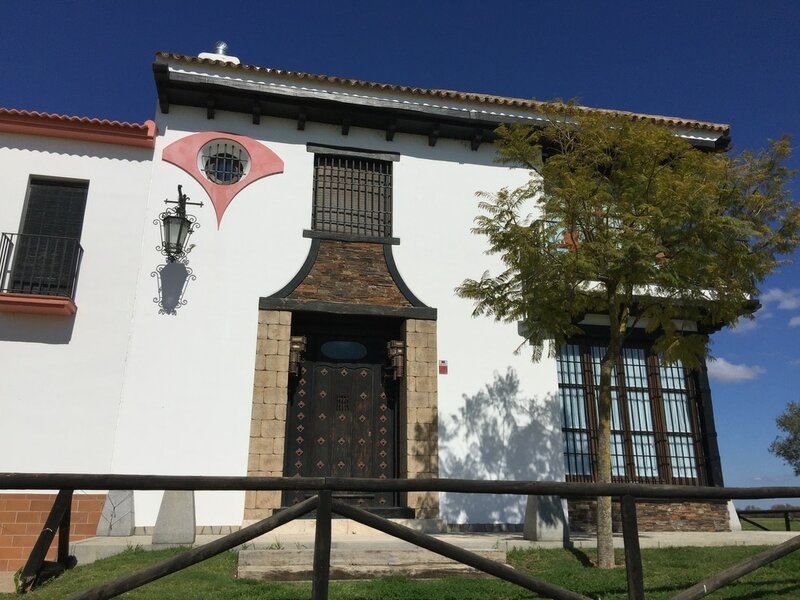 The main attraction is Ermida del Rocio, the church in the heart of town and which becomes a huge attraction at the time of the Pentecost which is 50 days after Easter Sunday. We have been told that the traffic jams start in Seville. 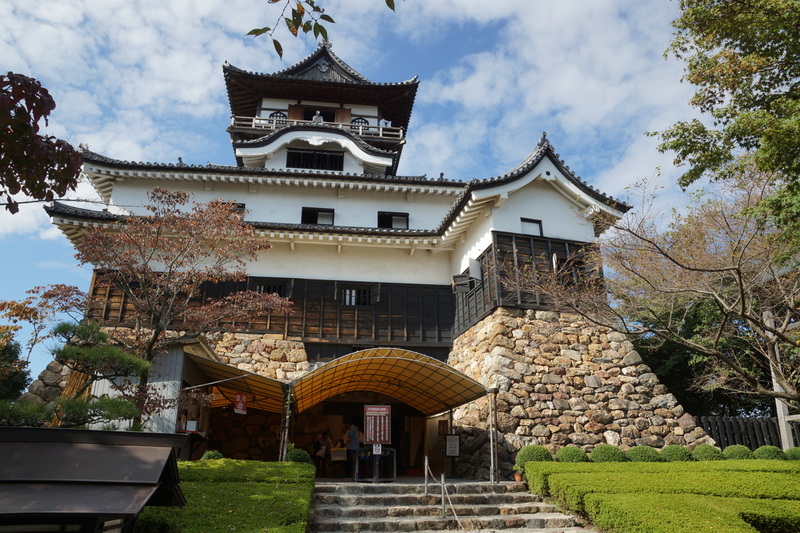 There are thousands of horses and carts lots of dancing fireworks and general liveliness all night.More than a million people visit that weekend so if you are looking for a quiet visit then miss that weekend. Many of buildings belong to the hermandades or brotherhoods from the surrounding areas and while they are empty most of the year theyre packed at fiesta time and its these brotherhoods that get involved in the dancing, the horse racing, street parties and open air masses. 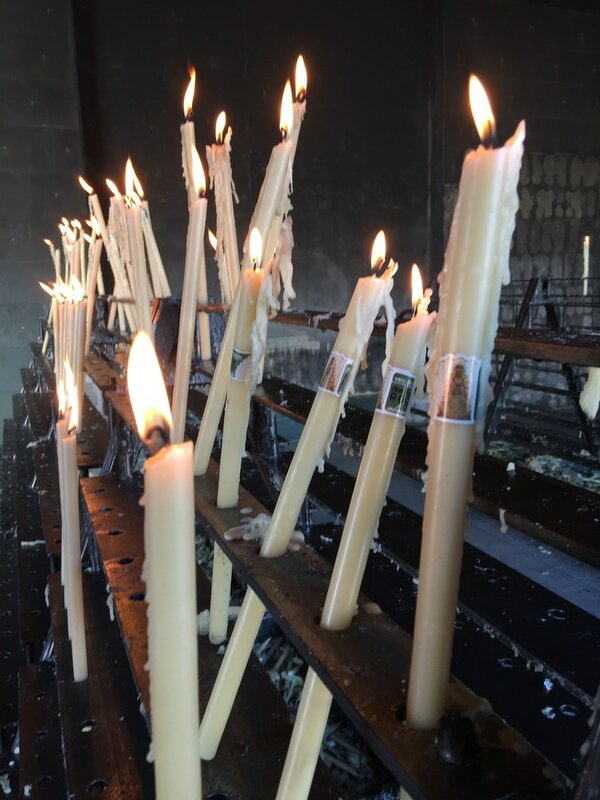 Burn your own candle for 50c. 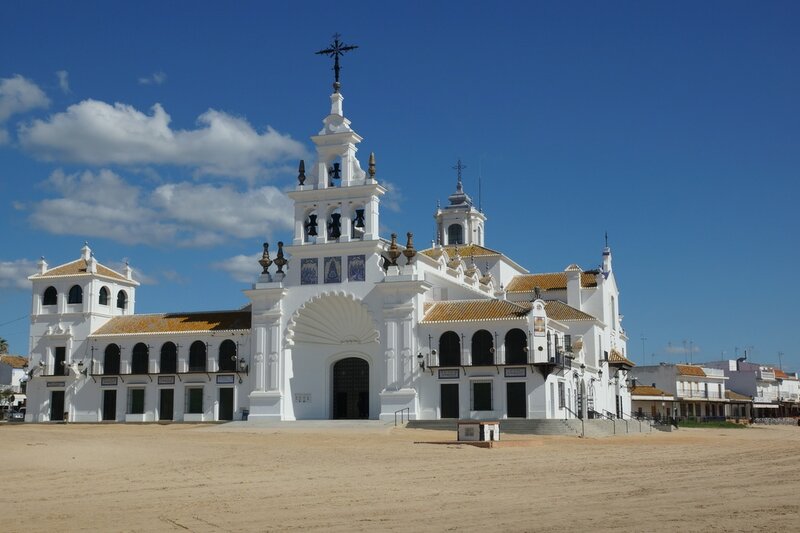 The pilgrimage to El Rocio surrounds the 13th century statue of the Virgin which is housed in the church and is brought out during the Pentecost weekend and paraded around the town. Enjoying a drink without dismounting is catered for. 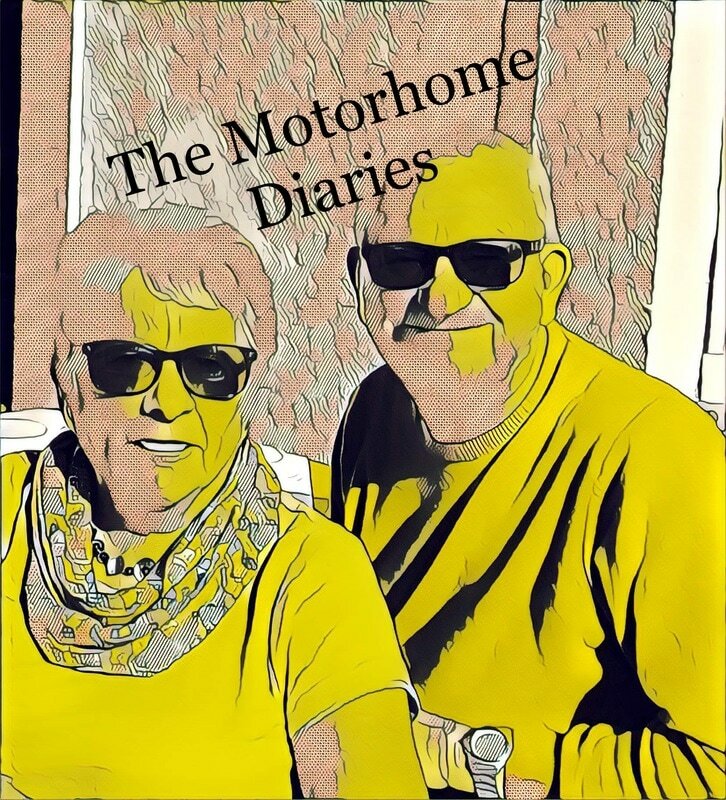 If you have read much of themotorhomediaries you will be aware that we are birdwatchers - not mad keen twitchers but enthusiastic amateurs so the nearby Doñana Natural Park is a big attraction for us. 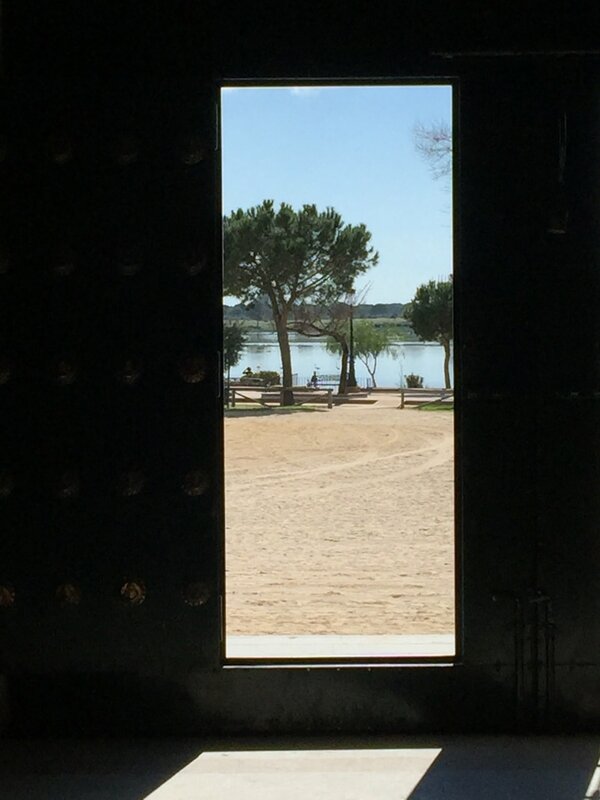 At El Rocio there is a large lake - Charco de la Boca where you can usually see flamingoes, spoonbills, glossy ibis as well as horses enjoying a paddle. 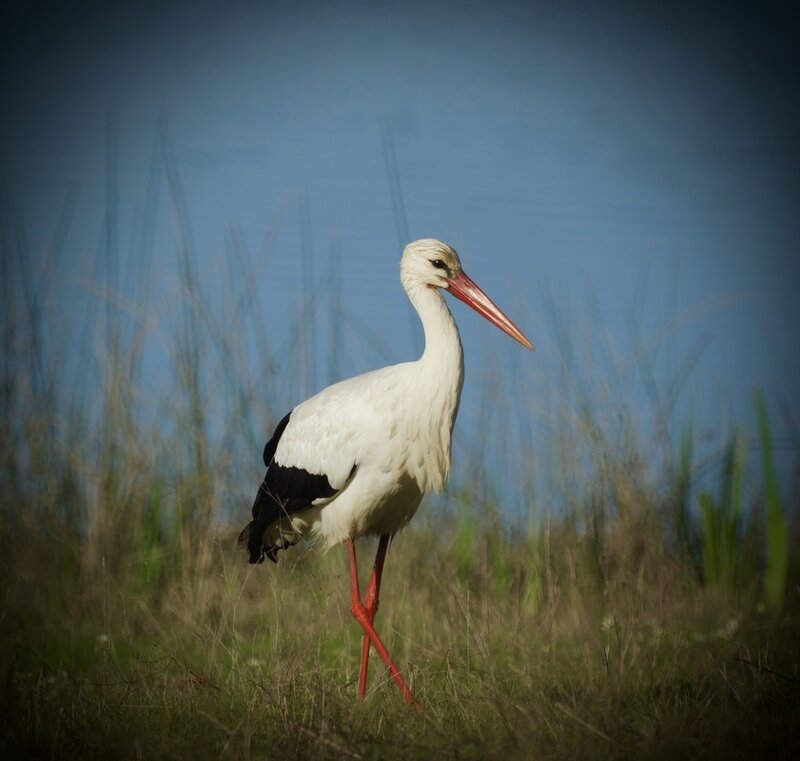 For a self guided birding trip then go to the visitor centre at José Antonio Valverde. 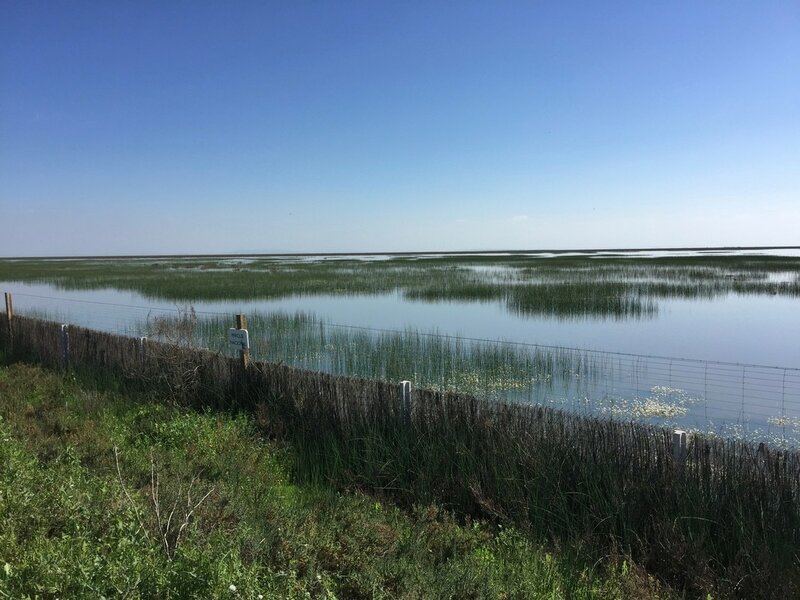 The centre itself is not very exciting and there are no refreshments available but the drive itself is very pleasant, little traffic and lots of birdlife. 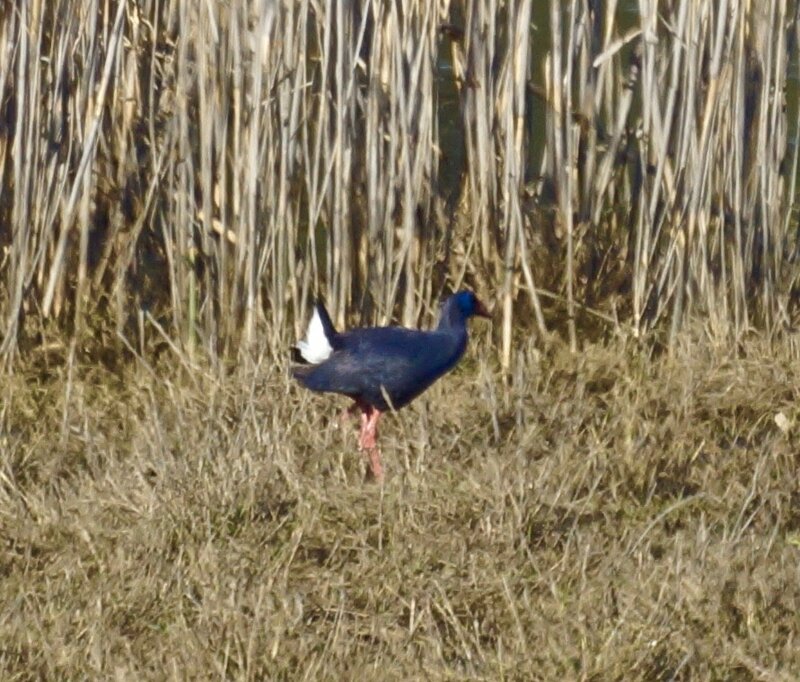 We visited in March 2017 and there was lots of water and many many birds, more purple gallinules and glossy ibis than we could count. Marsh Harriers were plentiful too. 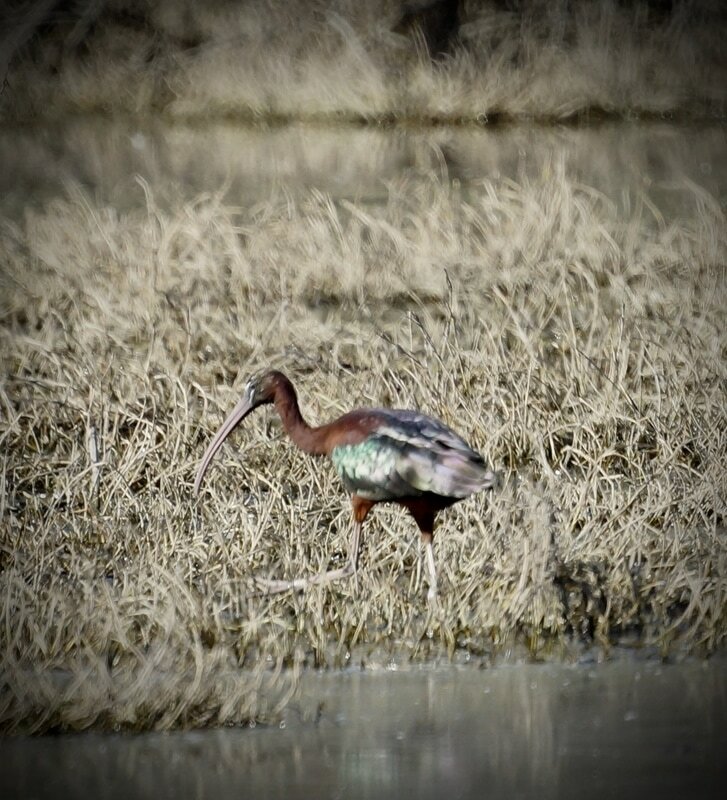 There were thousands of flamingoes and we spotted a black kite just returning to the area after its winter migration. 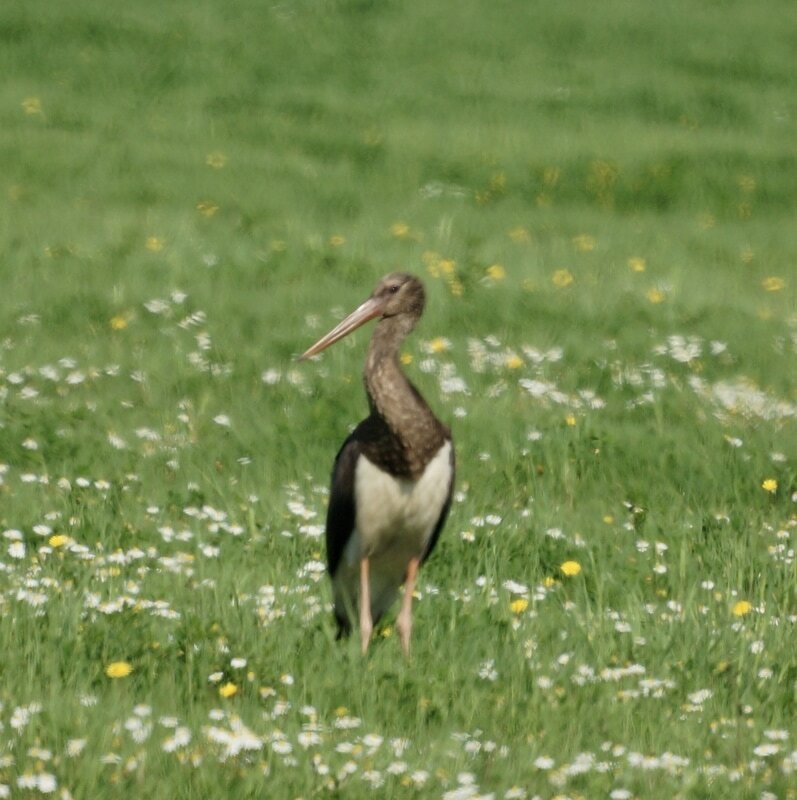 It is possble to take guided bird tours and there is an office in El Rocio where you can arrange this. As the crow flies it is not far from El Rocio but you have to take a circuitous route to avoid the Doñana National Park (as against the Natural Park) which is not open to the public. 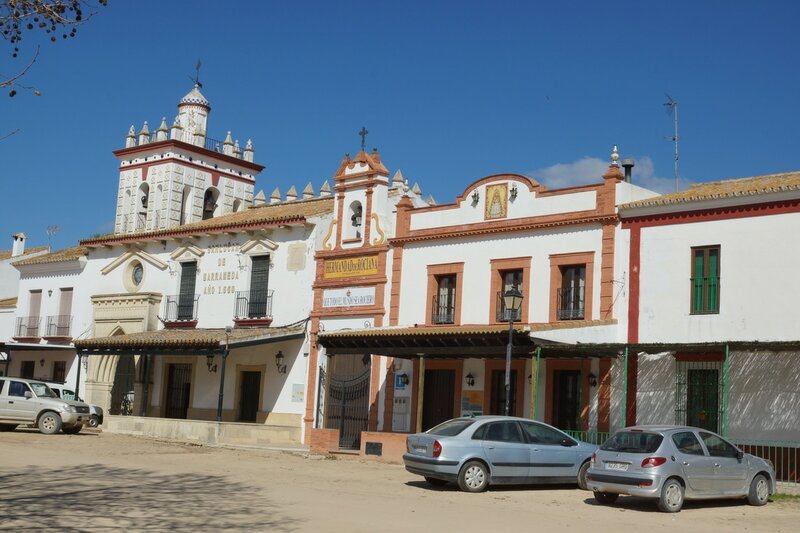 We found that the route was well signposted but there are maps available in El Rocio. 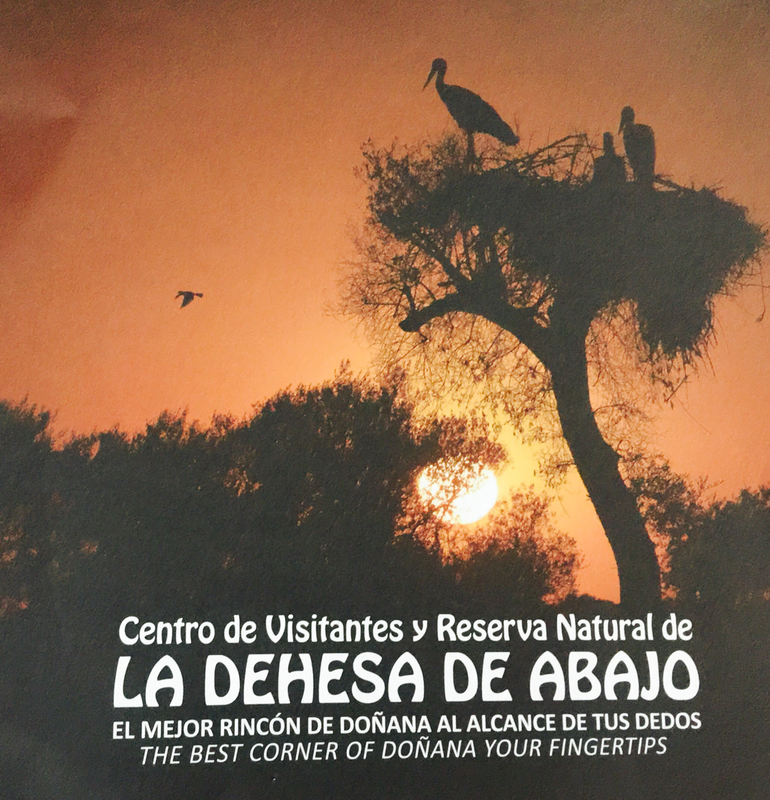 End your day by visiting La Dehesa de Abajo another good place for bird watching where the only cost is a parking fee which was €2 when we visited. 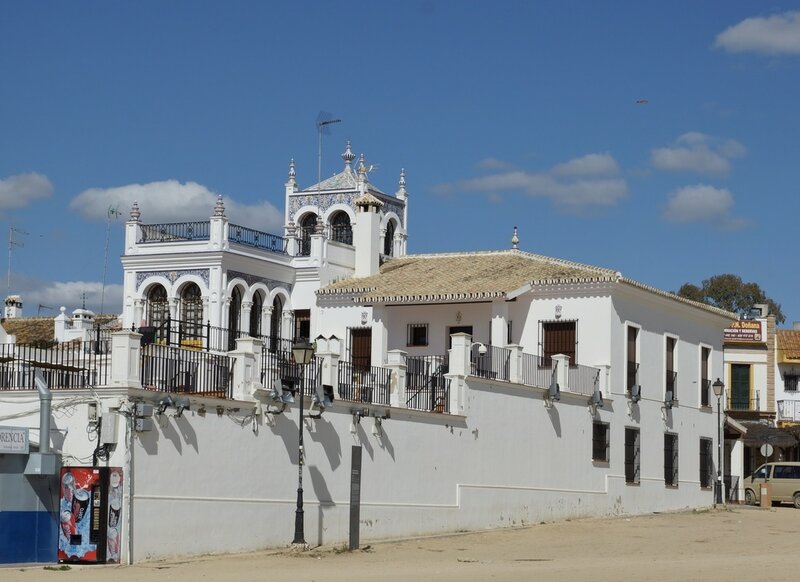 We stayed at the campsite La Aldea del Rocio which has good facilities and from where you can walk into town. When we were there the restaurant provided very nice three course dinner for €10. If you prefer free camping then there appears to be some in town though this may only be tolerated over the winter months. 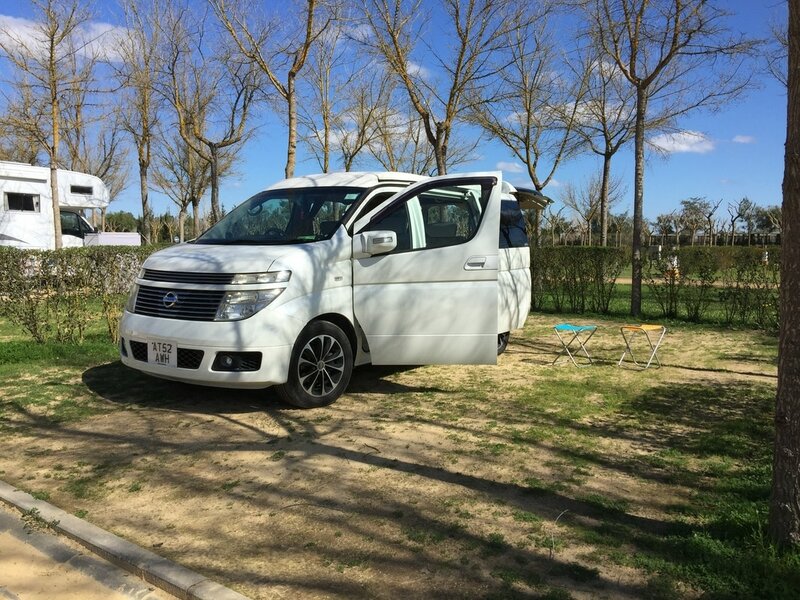 Our newly acquired baby camper gets its taste of Spanish campsites.